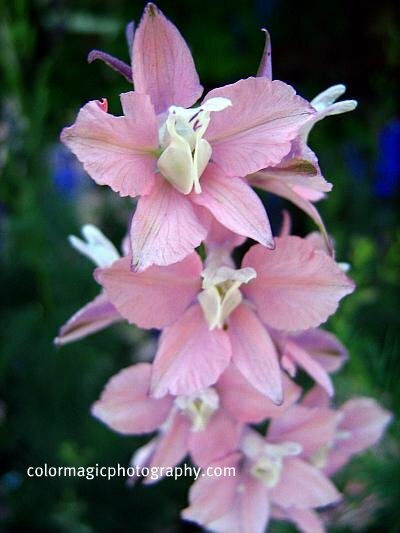 Larkspur-Consolida ambigua, this old cottage garden flower is the modest sister of the fancy Delphinium flower. 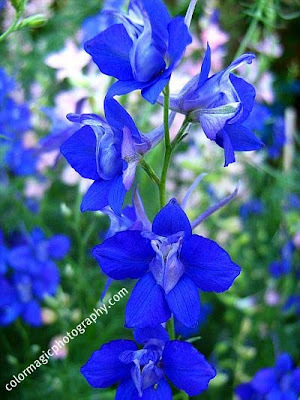 The name larkspur is commonly used for both Consolida and Delphinium. Larkspur blooms in early summer, the flowers emerging on loose spikes in several colors: pink, white, red and navy-blue.Larkspur plants grow about 45-60 cm (18-24 in.) 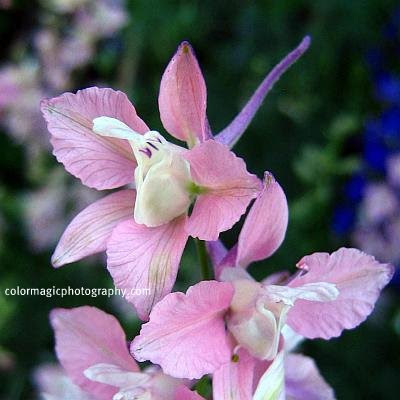 tall, they make a beautiful display planted in small groups or as a contrasting background to smaller flowers. Larkspur can be grown in most areas, except tropical regions. They prefer full sun but not hot weather and they must be protected from strong wind. It needs well drained, moist soil. Water regularly but do not over-water. Planted in groups, spaced about 15 cm ( 6 in.) apart, they will hold each other up, otherwise they will need staking. 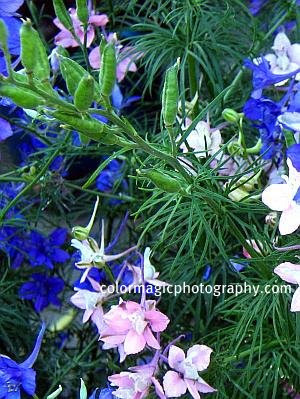 Deadheading will force the plant to produce side branches with new flowers. 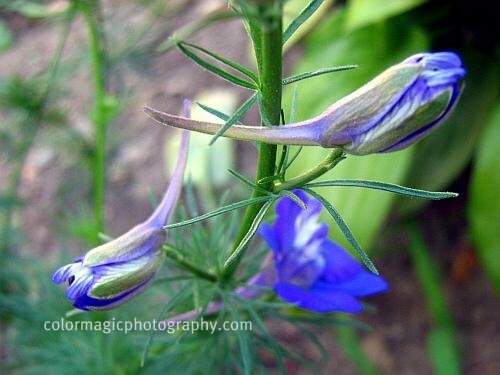 Unlike the perennial delphinium, larkspur consolida is a self-seeding annual plant but you can help. Collect the seeds after they dry on the plant. Sow the seeds in autumn for flowering the following spring, where they are to grow. The seedlings can tolerate extreme cold in winter but they don't like to be moved. A few larkspur flower spikes are also a lovely addition to a colorful flower bouquet, in your home.